Generalized anxiety disorder (or GAD) is characterized by excessive, wide anxiety and worry about everyday life events with no obvious reasons for worry. People with symptoms of generalized anxiety disorder tend to always expect disaster and can't stop worrying about health, money, family, work, or school. In people with GAD, the worry often is unrealistic or out of proportion for the situation. Daily life becomes a constant state of worry, fear, and dread. Eventually, the anxiety so dominates the person's thinking that it interferes with daily functioning, including work, school, social activities, and relationships. It is very diffused in developed countries. It is mainly a psychoogical theme, reflexology is not the only solution (the easy "solution") but may give a large help in relaxing and keeping body systems balanced. According to some Chinese and Duke University Medical Center studies reflexology improves body reactions to stress, expecially circulation and heart. 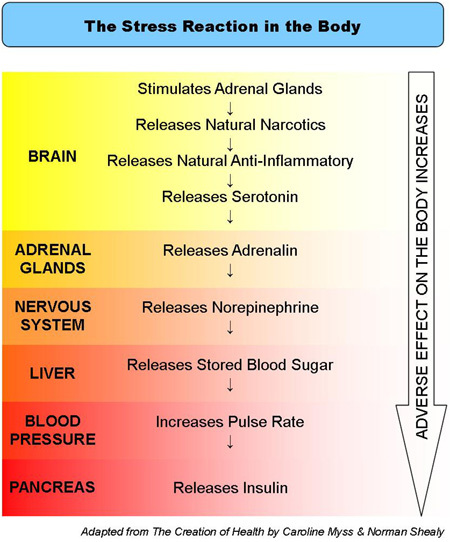 Moving from stress, ansxiety arises. When the anxiety level is usually high, in some circumstances (traumas, etc.) and also owing to some individual physiological factors, panic attacks may suddenly come. The best solution for panick is a mixed approach (if it is possible avoiding pharmacological substances if not specifically required by the specialist as first aid). Post Traumatic Stress Disorders have unluckily a growing diffusion (natural disasters, urban violence, gender violence, wars, accidents, ect.) and WHO is engaged in solving the problem of the interventions and of the cost of them. Reflexological treatment may help in alleviating these disorders.